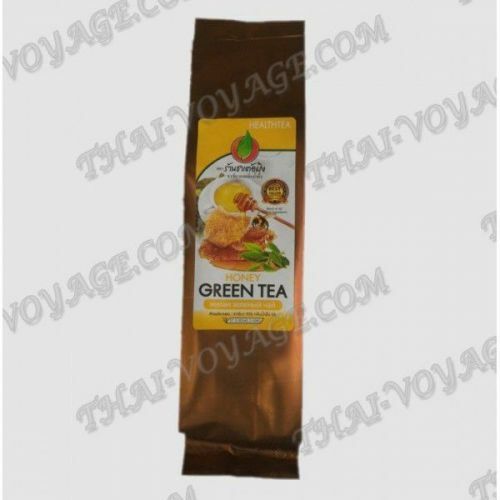 Useful properties of green tea is known to probably everyone. This antidepressant, and excellent tonic, and is a wonderful antiseptic. And nothing about the ability of green tea to remove toxins from the body written whole treatises! However, few people know about the benefits of green tea with honey. Honey is a unique substance, one of the few natural products already fully ready-to-use and completely digestible by the body. Complex sugars contained in honey, several times more useful than those present in conventional white sugar. Honey has an excellent effect on the kidneys and heart, improves digestion and boosts immunity. The combination of green tea and honey multiplies the beneficial substances of these two products. Properly brewed green tea with a thin slice of lemon and a teaspoon of honey in the morning invigorates and gives energy for the whole day. Drinking at night warm green tea with honey, you start the body's process of lipolysis, it is possible to adjust the weight so delicious and familiar beverage. In addition, tea will help you relax and beat insomnia.However, this drink has contraindications. Shouldn't those who have ever experienced allergies to bee products. In addition, green tea with honey is good diaphoretic, so please refrain from it before a long walk, otherwise you run the risk of catching cold.